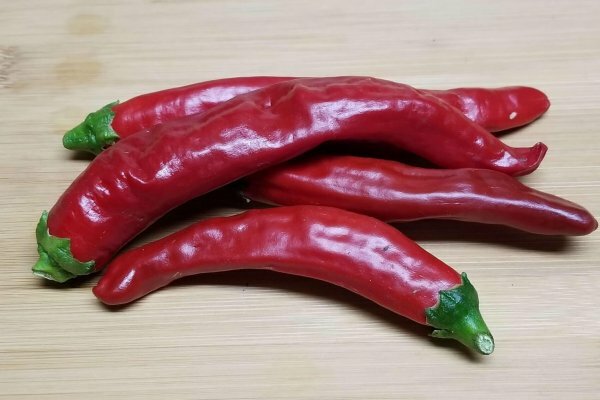 Mirasol Chihuahua-(Capsicum annuum)-Mirasol means looking up at the sun. 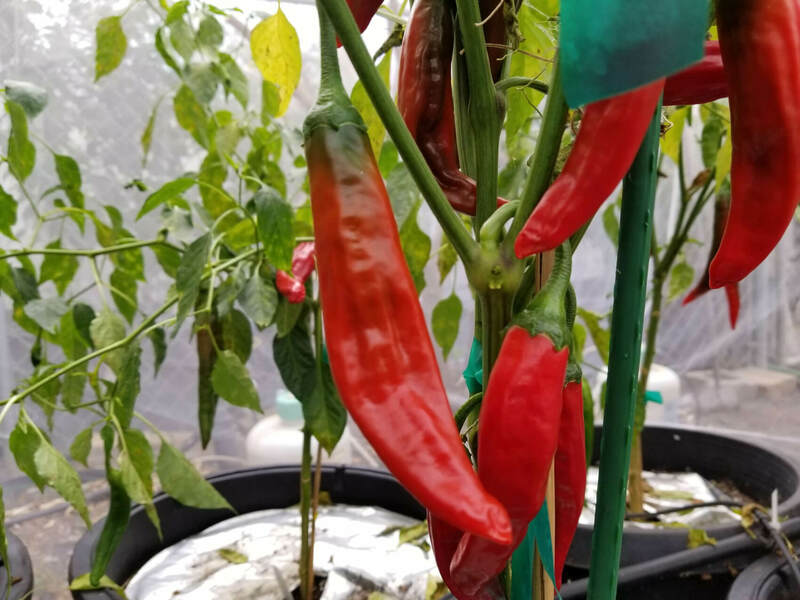 And the Mirasol chile from New Mexico grows pointing up. 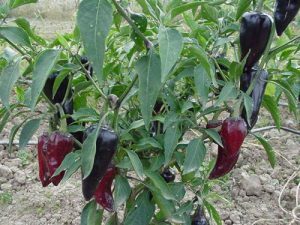 However there is much misinformation on the web that says Mirasol is the dried version of Guajillo chile. But the Guajillo chile is not the Mirasol as the Guajillo are much larger and grow pointing down!! So there is some reasoning why there may be some reason why there is all this confusion. 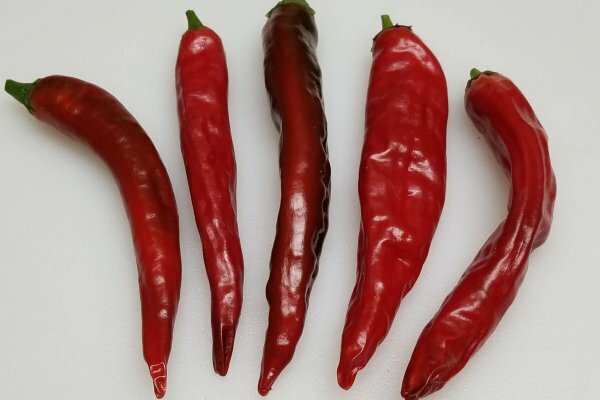 There is a Mirsaol chile similar in appearance to Guajillo that grows in Southern Chihuahua, Mexico at 6,000 feet above sea level. 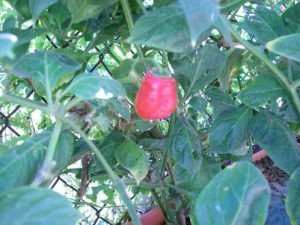 It is possible then that this is the Mirasol that has been also called Guajillo or vice versa. Regardless the Mirasol from Chihuahua is not the Mirasol from New Mexico or the Guajillo from Mexico. 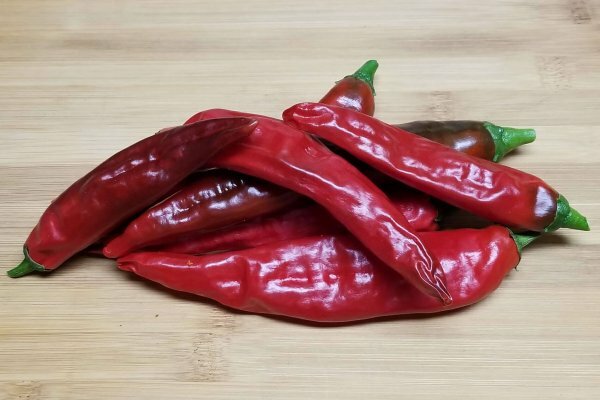 It has fruity tones and looks like a larger Kori Sitakame chile from the Northern region of Chihuahua. But its is much larger and grows 6 to 8 inches in length. It can be roasted green but when red it will have too thin skin so may be used for drying and powders. It is extremely productive and grows 3 to 4 feet tall. Mirasol means looking up at the sun. 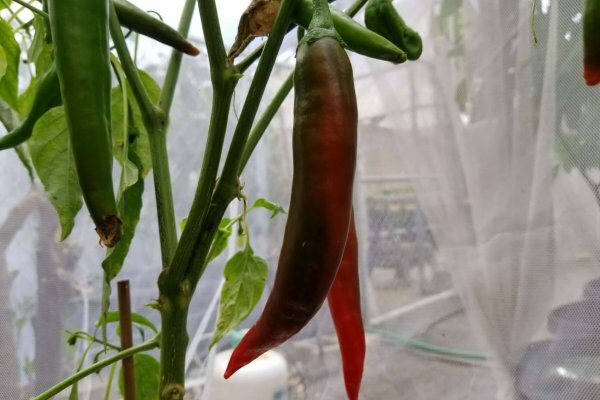 And the Mirasol chile from New Mexico grows pointing up. 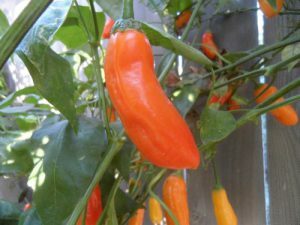 However there is much misinformation on the web that says Mirasol is the dried version of Guajillo chile. But the Guajillo chile is not the Mirasol as the Guajillo are much larger and grow pointing down!! So there is some reasoning why there may be some reason why there is all this confusion. 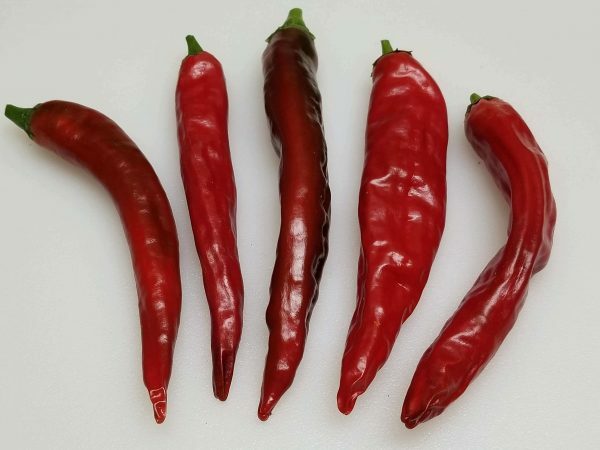 There is a Mirsaol chile similar in appearance to Guajillo that grows in Southern Chihuahua, Mexico at 6,000 feet above sea level. 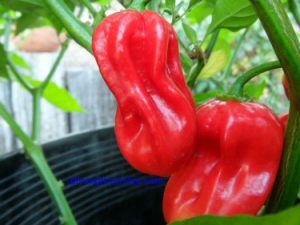 It is possible then that this is the Mirasol that has been also called Guajillo or vice versa. Regardless the Mirasol from Chihuahua is not the Mirasol from New Mexico or the Guajillo from Mexico. 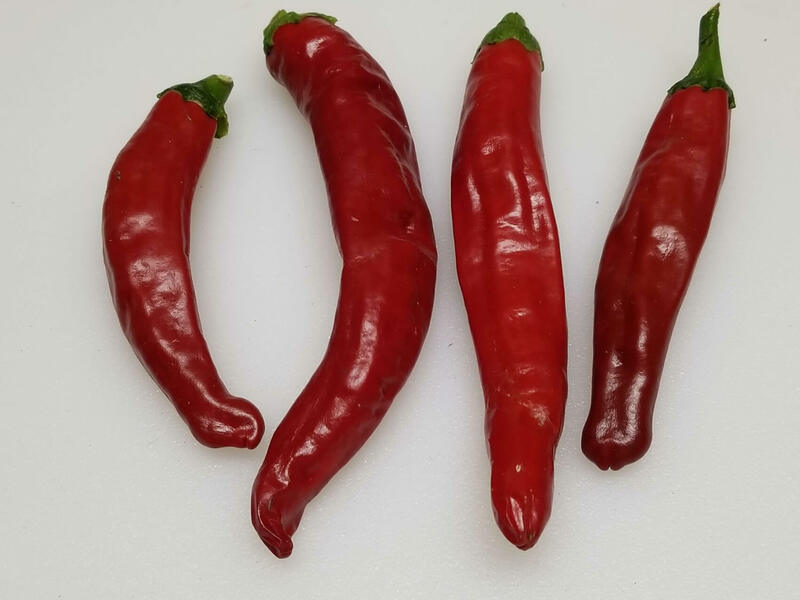 It has fruity tones and looks like a larger Kori Sitakame chile from the Northern region of Chihuahua. But its is much larger and grows 6 to 8 inches in length. It can be roasted green but when red it will have too thin skin so may be used for drying and powders. It is extremely productive and grows 3 to 4 feet tall.